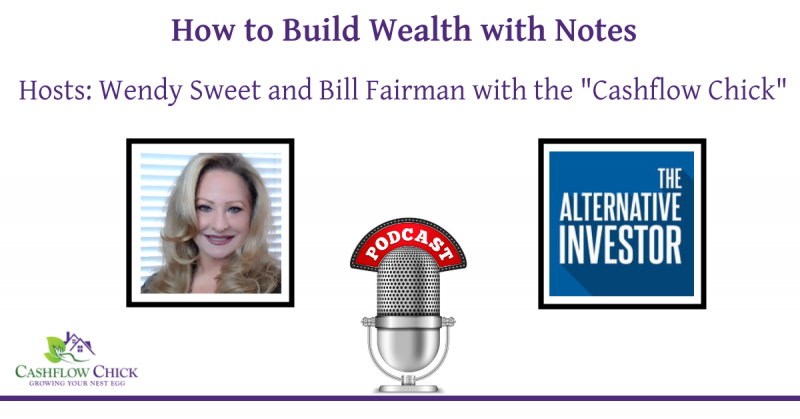 In this episode, Bill and Wendy have the pleasure of interviewing Paige Panzarello, also know as the “Cashflow Chick”. Paige talks about her journey as a Real Estate investor and entrepreneur over the past 20 years. Paige has tons of experience in buy and hold residential and commercial real estate investing; Tax Deeds/Liens, and Fix and Flip, to name a few. She currently focuses on Non-Performing Notes that she purchases all across the United States. Whether in notes, residential or commercial real estate, in California, Arizona, or nationwide, Paige has been successful in completing over $150 million in real estate transactions to date.